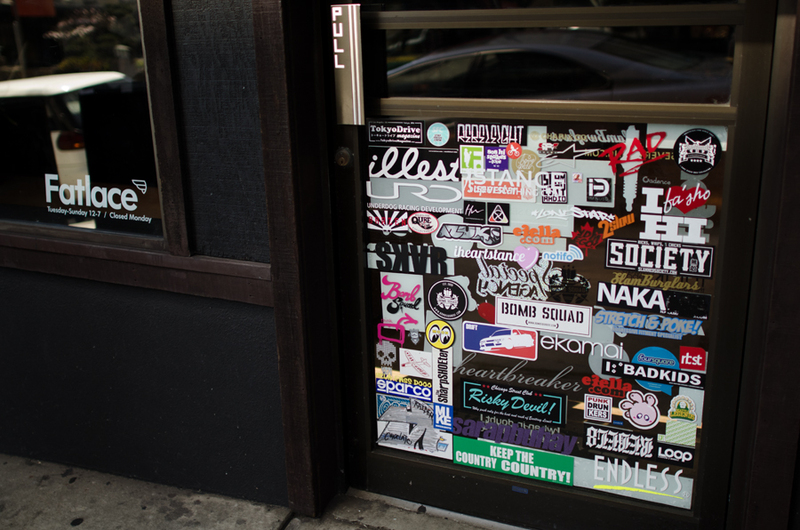 Here’s an update of the stickered front door at the Fatlace boutique in Japantown. There’s plenty of room for more stickers. So swing thru and post some up. CLSC opens 1st storefront on FAIRFAX!